In 2018, Matt Curl was signed by the World Racing Group. He left his role as the promoter of Fairbury Speedway and spent the season as the World of Outlaws Late Model Series director. Last month, Matt Curl added the role of track owner to his title. He’s doubled back to Illinois and purchased Fairbury American Legion Speedway, his hometown track. Is it? Or does it just take bold promoters to stand out from the crowd, drawing race fans and racers alike. FALS LLC now owns the race track. 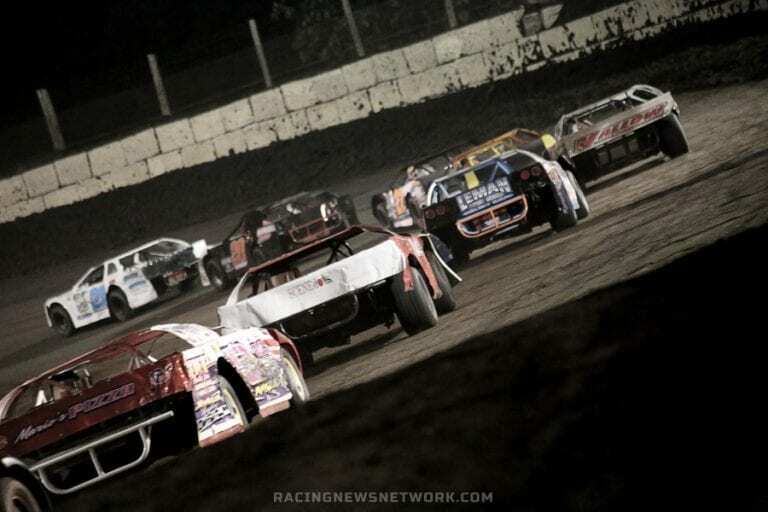 With that, big changes are coming to Fairbury Speedway. 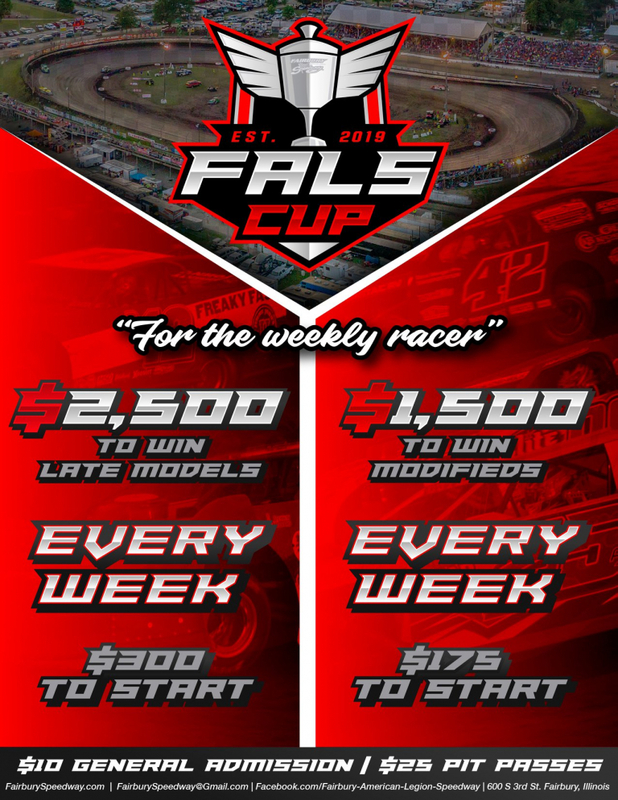 For 2019, the Fals Cup Weekly championship will take place at the 1/4-mile dirt oval. The schedule will bring playoffs to DIRTcar Late Models and UMP Modifieds on a local level. The lowest payout for Dirt Late Models of all event at the track will be an impressive $2,500. A weekly payout like that is unheard of for local short track racing. As the price of the cars have skyrocketed, the payouts have not. That’s led to a drop in car counts, despite a booming economy. The problems are compounded as fans aren’t willing to put down their tiny computers, pack the family in the SUV and go watch 8 late models roll around the track. A weekly payout of $2,500 is a sure why to bring back the car counts. In total, $22,000 in purses are set to be handed out on a weekly basis. With the payout increase, the price on the fans while remain unchanged as admission costs will remain constant. “It’s time to do all we can for the weekly local racer in every way possible,” Matt Curl explained. In addition, the track will introduce a Free attendance night. That will take place on June 1st, 2018. Free admission is something that Florence Speedway has tried as well. And it went well beyond their expectations. Florence expected to lose money when they did it. It was a marketing effort to bring new faces to the track. It worked. The place was packed from top to bottom as full capacity for a weekly show. At the same time, they didn’t lose a dollar. With the high attendance, they made enough money on concessions to make it in the black at the conclusion of the night. 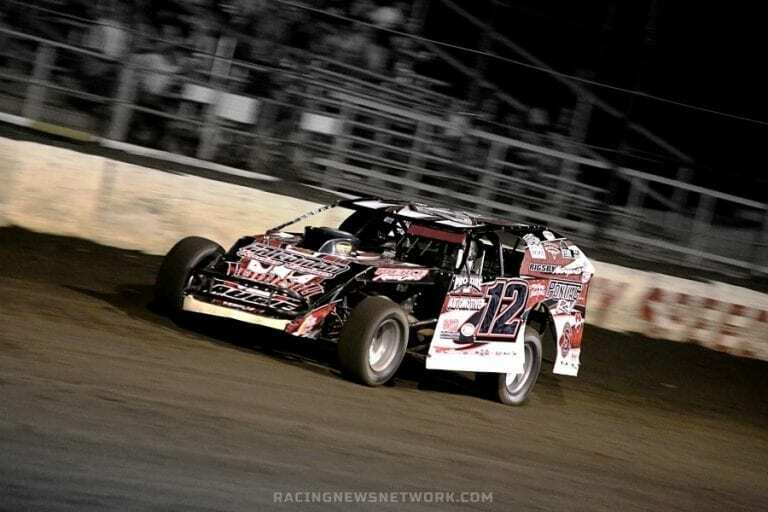 Fairbury Speedway is taking things one step further. On August 24th, the track will host their driver appreciation night. All drivers will get a free pit pass into the track.